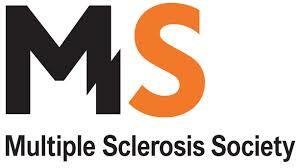 both the Multiple Sclerosis Society and the charity Dogs for Good. The Chancellor delivered his Spending Review and Autumn Statement today. There were no new fiscal measures directed at the oil industry apart from an announcement that government will commit up to 10% of shale gas tax revenues to a Shale Wealth Fund. They state that this could deliver up to £1 billion of investment in local communities hosting shale gas developments. The first tax revenues from this activity are likely to be some time off however. Industry still awaits publication of the draft legislation giving effect to the extension of the scope of the Supplementary Charge Investment Allowance relief to certain non-capital discretionary operating expenditure and to expenditure on leased assets. The broad nature of that extension was outlined by the Treasury in October and will apply to expenditure incurred on or after 8 October 2015.
iii) extend the economic life of a field, or part of a field, or upstream petroleum infrastructure. Test 2: must not be routine repair and maintenance. the asset is leased on arm’s length terms. The financing charge inherent in the lease payment will not qualify. Similarly any part of the lease payment that represents the provision of services or staff under the lease is excluded. There are a number of concerns around these provisions which are currently being raised with Government. For accounting periods commencing on or after 1 January 2015, companies that are changing the basis of preparation of their accounts from Old UK GAAP to IFRS or New UK GAAP (applying either FRS 101 or FRS 102), need to consider carefully the transitional adjustments needed for tax purposes when restating the brought forward balances. HMRC have now issued updated manuals dealing with the impact of the changes in accounting policy and have clarified in their manuals the application of the loan relationship rules when there is a loan relationship between connected companies and where a company changes its accounting policy. This guidance confirmed that the connected company loan relationships legislation that requires the use of an amortised cost basis in accordance with Section 313 CTA 2009 for tax purposes means that there is no initial measurement of such assets and liabilities at fair value for tax purposes. Therefore, there should be no adjustment in respect of these items for tax purposes when a company moves to New UK GAAP or IFRS. Companies will need to ensure that any such adjustments in the accounts are identified and appropriatly dealt with from a tax point of view. On 5 October 2015, the OECD issued its Report on ‘Limiting Base Erosion Involving Interest Deductions and Other Financial Payments’ (under the BEPS Action Plan 4). This report has been eagerly awaited because the use of interest deductibility was seen by the OECD as a key factor in base erosion and profit shifting that was being carried out by multinationals. A fixed ratio rule that would apply to restrict interest deductions claimed by an entity (or a group of entities operating in the same country) to a fixed percentage of EBITDA, suggesting a single fixed ratio for all industries of somewhere between 10% and 30%. Supplementing the fixed ratio rule with a worldwide group ratio rule thereby providing additional capacity to claim interest based on the external net interest/EBITDA of the worldwide group, with a possible inclusion of a 10% uplift to prevent double taxation and/or an alternative group ratio rule based on debt equity levels. the carry forward/back of disallowed interest expense and/or unused interest capacity (within limits). The OECD is further considering the mechanics of a worldwide group ratio rule, and also have singled out the banking and insurance sectors as having specific features that must be further looked into. HM Treasury, which is broadly supportive of the proposed recommendations, published on 12 October a consultation paper (https://www.gov.uk/government/consultations/tax-deductibility-of-corporate-interest-expense/tax-deductibility-of-corporate-interest-expense-consultation). Responses are requested by 14 January 2016. It seems likely that the UK will amend domestic legislation in line with these restrictions, possibly from 1 April 2017. The rules are unlikely to impact stand alone domestic groups but subject to any de minims companies which are members of international groups are likely to see further restrictions on interest deductions. The UK oil industry already faces additional restrictions on the ability to claim interest deductions within the ring fence as compared to other UK industries. As a result the industry was able to obtain secure exemption from the UK World Wide Debt cap rules (section 318 TIOPA 2010) that were introduced in 2010. We therefore suggest companies should make representations that any further restrictions introduced would be inappropriate for ring fence debt. Please contact your usual CWE contact for further assistance. On the occasion of George Osborne’s first Conservative Budget there was little to affect ring fence activities. The only announcement was that the scope of the Investment and Cluster Allowances is to be broadened to include certain discretionary non-capital expenditure and to include the costs of long term leasing of production units, with the aim of maximising economic recovery. The Red Book went slightly further in stating that the government wanted to make the most of the UK’s oil and gas resources, including the safe extraction of shale gas. Apart from the expansion of the scope of the Investment Allowances, there is also a proposal for a sovereign wealth fund for communities that host shale gas development. The draft secondary legislation to give effect to the extension of the Investment and Cluster Allowances is intended to be published late summer / early autumn for technical consultation with the aim of being laid before Parliament when the MPs return from the summer recess. It has also been confirmed that government will now focus on solutions for encouraging exploration, infrastructure access, and barriers to new entrants for late life fields, all of which are seen by industry as critical to achieving maximum economic recovery. The extension of the scope of Investment and Cluster Allowances follows the discussions between industry and government on the type of expenditure which should qualify for the allowances. Qualifying expenditure was originally restricted to capital expenditure but it was always recognised that other expenditure should qualify and it is hoped that the secondary legislation will deal with this. The question of how to define qualifying expenditure has yet to be resolved, with industry preferring a purposive test on the lines of the PRT supplement rules, whereas government seemed keen on a list based approach, where only specific expenditure would qualify. We will comment further on these rules when the draft SI is published. A. The loan relationship and derivative rules are to be amended in a number of ways. Firstly, only those debits and credits which go through the profit and loss account are to be included in taxable income, whereas debits and credits included elsewhere in the accounts such as in reserves, will be ignored. Secondly, taxable amounts arising where arrangements are made to restructure the debts of a company in financial distress with a view to ensuring its continued solvency will be excluded from charge. Changes are to be made to the rules on intercompany transfers to ensure that the “correct value” is brought in for tax purposes. This will apply such that transactions between related parties can be adjusted for tax to ensure that the result is the same as if the sale had been made to a third party. C. The rate of corporation tax is to be reduced progressively down to 18% from the current 20%, but it is assumed that there will be no change to the ring fence corporation tax rate of 30%. It is not thought that these changes will have any significant impact on the oil and gas sector. Readers will recall our newsbrief last August on the topic of proposed changes to the Derivative contracts rules, requiring companies to make an election to benefit from the Disregard rules in 2015 and subsequent years. Those rules have now been enacted as The Loan Relationships and Derivative Contracts (Disregard and Bringing into Account of Profits and Losses)(Amendment) Regulations 2014. For companies adopting fair value accounting in relation to derivative contracts for the first time (“new adopters” in the terms of the Regulations) the period in which this occurs is called the “first relevant period”. In this case the election to opt in must be made by the date which is six months after the start of the first relevant period for qualifying companies (i.e. those which are within the Senior Accounting Officer rules) or 12 months after the end of the first relevant period for others. Thus for new adopters with a December 31 year end the first relevant period will be the year ended December 31 2015 and the election will be required to be made by June 30 2015 if large or by December 31 2016 if not. There is however another category of election that is required to be made by companies that already prepare accounts which would require fair valuing derivative contracts, but who have not actually entered into any such contracts to date i.e. companies which are not new adopters . In this case these companies are not covered by the grandfathering provisions but need to separately make an election for the Disregard rules to apply. In the absence of such an election they will be taxed on the fair value gains and losses arising on derivative contracts. For these companies the election needs to be made in advance of the derivative contract being entered into. Thus it is important to identify this time limit, as if such an election is not made before any such contract is entered into, the Disregard rules cannot apply to the fair value gains and losses on that contract (or any other entered into before the election is made). Consequently such companies may wish to make an election now to ensure that when they do enter into a derivative contract they will be able to benefit from the Disregard rules and not be required to be taxed on the fair value movements on such contracts. Finance Act 2015 received Royal Assent on 26th March. Accounts being drawn up to 31 March 2015, including quarterly accounts, will need to reflect the provisions of the Act, in particular the reduced rate of SCT of 20%, the extended period for ring fence expenditure supplement, the changes to the Field Allowance rules and the introduction of the new Investment and Cluster Allowances. The reduced rate of PRT to 35% also became law but will not apply until CP I 2016. For deferred tax purposes companies will need not only to take into account the effect of the new rates on balances brought forward but also, in the case of PRT to assess the extent to which timing differences are expected to reverse at the existing rates or the new rates when preparing these accounts. If you have any questions on the Finance Act 2015 changes please call your usual CW Energy contact. In his pre-election budget the Chancellor has responded to calls to reduce the tax burden on the oil and gas companies, but is it a case of too little too late? As already announced the government have confirmed a package of measures which is intended to “substantially reduce oil and gas taxes to improve competitiveness in the North Sea” in today’s Budget. The government states that this package of measures is expected to lead to over £4 billion of additional investment and at least 120 million barrels of oil equivalent of additional production in the next 5 years, boosting oil production in 2019 by 15%. The Finance Bill is to be published on 24 March 2015. As Parliament will be dissolved on March 30 there will be a very limited time for discussion so it is hoped there will be enough support for these provisions such that they will be included in the Finance Act. As widely rumoured the rate of supplementary charge is to be reduced by a further 10% in addition to the 2% reduction announced last year, such that the rate will be restored to the pre-2011 rate of 20%. This reduction will be backdated to apply from January 1 2015. In addition the government announced that the rate of PRT is also to be reduced to 35% with effect for chargeable periods ended after 31 December 2015. A table of the old and new rates is set out below. The reduction in the SCT rate will be welcomed by those companies which are currently tax paying. However, most oil and gas companies are not currently taxpaying due primarily to their heavy investment programme. Although these companies will benefit from lower rates in the future (should they be maintained), and the expectation of these lower rates may encourage further investment, most of the benefit of the rate reductions in the short term will be enjoyed by companies with mature projects who are in harvest mode, i.e. not looking to reinvest in the North Sea. Indeed, although the government state that the package of changes will provide certainty for investors and create the right conditions for the basin to flourish and deliver maximum economic benefits for the UK, one of the main weaknesses of the current system is that there is no certainty that the rates announced will remain in place. Those companies which expect to be PRT paying in CP I 2016 and future periods will welcome the change but given that PRT applies to only the larger mature oil fields, it is questionable whether this is the best target for relief. The expected cost of this measure is £335m in the years up to and including 2019/2020. This contrasts with an expected cost of £965m for the reduction in SCT and the investment allowance over the same period. However the real cost for government is likely to be much less than this as for many fields the reduction of tax rate will simply represent a cash flow benefit since much of the PRT to be paid will be repaid on abandonment. At the Autumn Statement date the Government undertook to consult on a new industry wide cost based investment allowance and following this consultation the allowance is now being introduced. Details of the allowance are not due to be published until the end of this week but it has been announced that it will apply to expenditure incurred after April 1 2015, and that the rate of allowance will be 62.5%. Through the consultation phase there have been a number of issues raised by the industry and we will have to see which, if any, have been taken up by Government once the detailed provisions are announced. The reduction in the rate of SCT to 20% that was also announced of course reduces the quantum of the benefit of this allowance. The new allowance is of general application and also provides a level of certainty that was not present in the previous field allowance regime, and it is hoped that this measure will go some way to stimulating more investment in the North Sea. However, this new allowance provides no immediate benefit to the many companies that are not currently tax paying, and it will be interesting to see if Government have thought about this issue. One possible measure to allow for the lost benefit arising due to the delay in using them would be to provide an RFES style uplift for these allowances. The investment allowance is very similar to the new cluster allowance that is being introduced, the main difference being that in the latter case income from any part of the cluster can trigger the allowance whereas it is expected that only income from the field in question will trigger investment allowance. While it is understood that the transitional rules will provide adequate protection for owners of fields that have already qualified for an “old” field allowance or are close to development consent, there could be many instances where the new investment allowance is worth significantly less than the previous regime. This is particularly the case for small new pockets of reserves where the existing volume based small field allowance provided a welcome boost, and it is hoped that this will not mean that otherwise economic prospects will not now be developed, or that companies will be discouraged from even looking for such accumulations. The government has confirmed that they will provide £20 million of funding for a programme of seismic surveys to boost offshore exploration in under-explored areas of the UK Continental Shelf. Whilst this measure is welcome concern remains that exploration activity is at a historical low and further incentives are needed to ensure that the government policy of maximum economic recovery from the North Sea can be achieved. The new Oil and Gas Authority is to be given the powers it needs to scrutinise companies’ plans for decommissioning programmes to ensure they are cost effective. Again this measure was confirmed at the Autumn Statement 2014 with draft legislation published at that time. Details were set out in our earlier Newsbriefs. There are to be a number of amendments to the scheme. The legislation will allow changes to the definition of qualifying expenditure to be changed by secondary legislation. In addition the law is to be clarified to ensure that expenditure on the acquisition of a licence interest will not qualify. One of the main issues with the Brownfield allowance regime was that it only applied to capital expenditure. This change will at least provide the opportunity for the scope of the cluster allowance to be wider and to cover certain “revenue” expenditures which we believe should be supported under the MER principle such as expenditures aimed at generating incremental production or at preventing a reduction in the rate of production. There were also a number of non-oil and gas measures which nevertheless could be of importance to the oil industry. As expected, it has been confirmed that the DPT tax, which was announced in Autumn Statement, is to be included in the Finance Bill. While the detail is not yet available it is understood that there will be some changes to the original proposals, following representations made, mainly around the economic substance tests, but the provisions are otherwise as originally announced (see our newsletter of January 15th this year). While HMRC’s stated intent is that the provisions are only aimed at catching aggressive tax planning and to generate early disclosure on transfer pricing issues, and our understanding is that the measures were introduced primarily to ensure groups generating revenues in the UK pay their “fair share” of tax, they are potentially of relevance to the oil and gas sector, particularly the support sector, and could therefore have an indirect adverse effect on upstream companies that are already suffering under the current climate. Some service company activities which are caught by the so-called bareboat charter rules introduced last year could also fall foul of these DPT rules. In such circumstances, if no effective relief for the costs subject to the bareboat cap is obtained, the capped costs will be left out of account in arriving at any DPT charge. It is not thought that many activities of upstream groups will fall within these provisions but we will need to see the final draft clauses and detailed guidance that we understand is to be issued next week. A new TAAR is to be introduced which will limit the availability of certain carried forward reliefs, including trading losses, where profits are introduced into the company under arrangements having the obtaining of a tax advantage as one of its main purposes. As with the proposed diverted profits rules there is an exclusion if the other economic benefits of the arrangement exceed the tax advantage. The introductory wording in the HMRC Press Release refers to contrived arrangements to convert a brought forward relief into something more versatile, but later defines the tests that will apply in much more general terms. The reliefs that are covered by the TAAR are trading profits, non-trading loan relationship deficits, management expenses, qualifying charitable donations treated as management expenses, and management expenses arising on the cessation of a property business. It appears that simple intra group asset or trade transfers could fall within these rules which, if correct, could have a significant impact on oil and gas groups which quite often have losses locked into one company which they would plan to utilise by reorganising the group if other group companies had successful projects. The new TAAR does not appear to apply to pre trading losses so the change to the pre trading change of ownership TAAR, which the industry successfully lobbied for last year by the Industry, should not be affected. The new TAAR could however prevent groups that own companies which have trading losses ever being able to sell those companies to recoup some of the losses of unsuccessful ventures. The application of the loss streaming rules within the transfer of trade provisions (previously s343 ICTA 1988, now in CTA 2010 s940A et seq) was recently considered by the FTT in the case of Leekes Ltd v HMRC. Very broadly a company which carried the a retail business through a number of branded high street stores took over another company with a similar business and following the acquisition of the shares immediately transferred the whole of the business of the acquired company into the acquirer. The acquired shops were rebranded and run as part of an enlarged business. The decision noted as a statement of fact that following the reorganisation the acquired stores continued to sell the same type of goods to the same customers and such selling was undertaken by much the same staff as before. The taxpayer contended that the acquirer had succeeded to the acquired company’s trade and HMRC accepted this as a question of fact. As a result the transfer fell within s343(1) and the taxpayer argued that the loss streaming rules in s343(8) could have no application because as a matter of statutory construction these rules only applied where the transaction fell within the circumstances set out within s343(8). HMRC disagreed and refused to allow losses transferred across from the acquired company to be offset against any profits of the original trade of the acquirer. The FTT agreed with the taxpayer. It is surprising that having accepted that the transfer of the acquired company’s business was a succession HMRC should attempt to argue that the loss streaming rules should apply, as the previous authority of Rodin V Falmer Jeans seems to have clearly established that s343(8) was intended to extend the scope of section s343 to transactions which didn’t constitute a succession, and that it was only that extended category of transactions to which the provisions of s343(8) applied. In our view the legal position has been clear for some time. If the transaction results in the acquirer succeeding to the acquired company’s trade then there is no streaming. However the difficult practical issue that one has always needed to address is determining whether a particular transfer does involve a succession. This is a question of fact based on the circumstances of the transferee and transferor both before and after the transfer. In the upstream Oil and Gas industry we have examples of where HMRC have accepted that the transfer of the whole of an oil and gas company’s business into another company already carrying on such a business does constitute a succession (in which case HMRC accepted that streaming was not in point), but we have also seen examples of transactions where, based on facts which appeared to us to be on all fours to the succession cases, HMRC were not prepared to accept that the succession had occurred. If groups are looking to reorganise in circumstances where one or more of the companies involved have losses then the loss streaming rules do need to be carefully considered. In some cases, falling foul of these rules could result in no effective relief being available for the losses. There are of course a number of other provisions that will need to be factored in. This decision may be helpful in assisting companies in determining whether their potential transaction could give rise to a succession although Oil and Gas and retail businesses have their differents. 2015 is the first year of implementation of the first wave of initiatives covering the reporting of payments by extractive industries to governments or government agencies. the EU Accounting Directive requirements for extractive industries, which adds further reporting requirements for companies in addition to the financial statements, with the first report to be filed for most companies by November 2016. The details of payments reported under UK EITI are being aligned with the requirements of the EU Directive, but the EITI is being implemented first. The content of the EITI reports is to be based on the requirements for the EU Directive, except that that the EITI report is likely to seek additional information on beneficial ownership of companies, and is only concerned with payments to UK government bodies and agencies. The EU Directive requires a report from each ‘large’ UK company unless it is a subsidiary of an EU or UK company which prepares a consolidated report incorporating the payments made by the company. (c) average number of employees during the financial year exceeds 250. The payments to be reported are those made to a government or government agency or similar body in relation to the extraction activities. These include licence fees, taxes (excluding VAT and salary taxes), and payments such as signature bonuses, production entitlements and similar payments. For some payments the relevant project will need to be identified. Fines, interest and penalties do not need to be reported. Any payment whether made as a single payment or by instalments which exceeds £86,000 should be reported. This threshold is applied to licence payments on a licence by licence basis not in aggregate. the EU Directive aims to disclose EU company payments to any governmental authority worldwide. The difference between the objectives is reflected in the method of reporting; company reports made under the EU rules will be made electronically to Companies House, whereas EITI reports are simply requested by the independent administrator. The first UK EITI report will cover payments made in 2014, whereas the first reporting required under the EU Directive is for payments in 2015. UK EITI reporting is entirely voluntary. The independent administrator will invite companies to respond and HMRC will seek a waiver of confidentiality from companies to allow HMRC to share the details of payments. The EITI process is evolving, but we expect requests to be made in the first quarter of this year, with a 3 month window in which to reply. It is assumed that the process will repeat annually. The first UK EITI report will cover payments made in 2014, but to assist in identifying 2015 payments of ring fence CT HMRC has asked oil and gas companies to differentiate these from tax paid on other activities, and in particular to arrange for separate payments to be made. We have details of this suggested procedure if you require. The Reports on Payments to Governments Regulations 2014 have been enacted into UK law to comply with the EU Accounting Directive, and require disclosure of payments made to all governments in respect of extraction activities. The Regulations apply to the first accounting period commencing on or after 1st January 2015 and cover the payments made within each period. The first report will be required to be filed within 11 months of the period end. However for those companies which are members of a group for which consolidated accounts are prepared in another EU state there is delayed implementation; their first reporting is made in respect of the first accounting period commencing on or after 1st January 2016. Oil and gas companies are well aware of the high profile of their activities. The increased transparency sought by authorities and civil society is now being taken forward in a number of separate initiatives and companies need to be prepared for the impact of these. For most UK oil and gas companies the first to have an impact will be UK EITI. The UK government has committed to the EITI to set an example and demonstrate its accountability. The UK EITI programme has the support of many industry players and organisations, and relies upon the companies to voluntarily provide certain information, waive taxpayer confidentiality, and potentially assist the independent administrator to reconcile amounts. Nevertheless, companies should be aware that responding to requests for information, assisting HMRC in identifying ring fence CT and waiving confidentiality are all voluntary. As preparation for what is required under the new Regulations enforcing the EU Directive there may be some benefit to responding positively to the UK EITI, but when resources are stretched companies should not feel compelled to assist when there is no obligation on them to do so. The EU Directive reporting is however compulsory with most companies having to file their first report on or before 30 November 2016.